As promised, I already started to add some of my horse photos to my blog. The photo in this post was shot when I hiked through the Riesebusch area in Bad Schwartau. 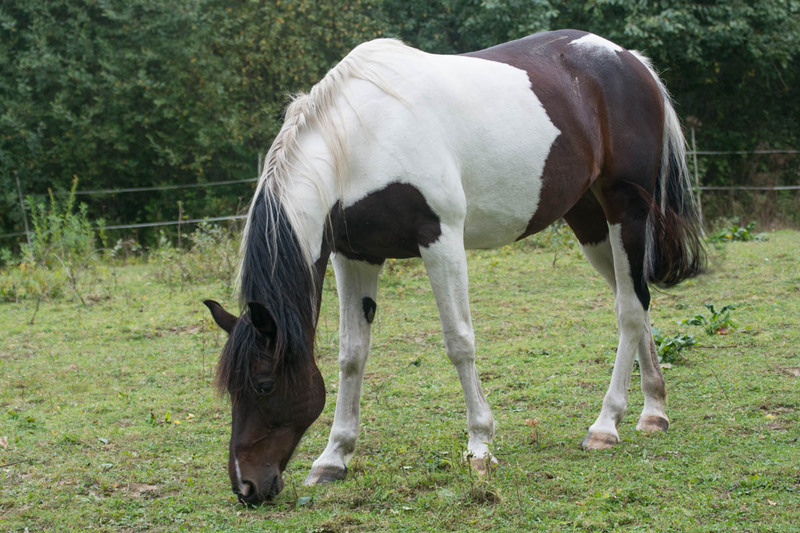 It is a brown and white horse, but it almost looks like a black and white horse. I saw the horse in this post on a small field together with a beautiful white horse. Now there are already a few entries in my horse category, but I will increase the amount over time to have a nice horse photo collection here.